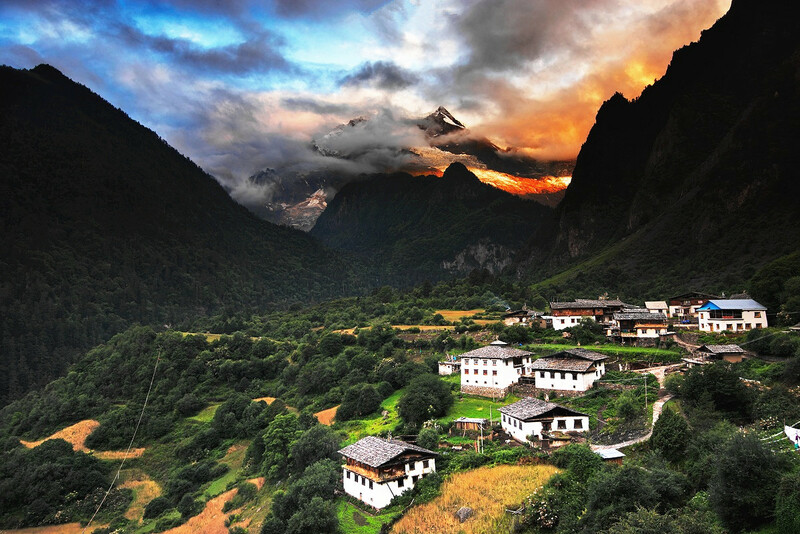 The hidden trails offer trekking adventures through Yunnan, one of the best hiking destinations in China, and go deep into Yunnan’s untouched area – the incredibly beautiful Yubeng Village. 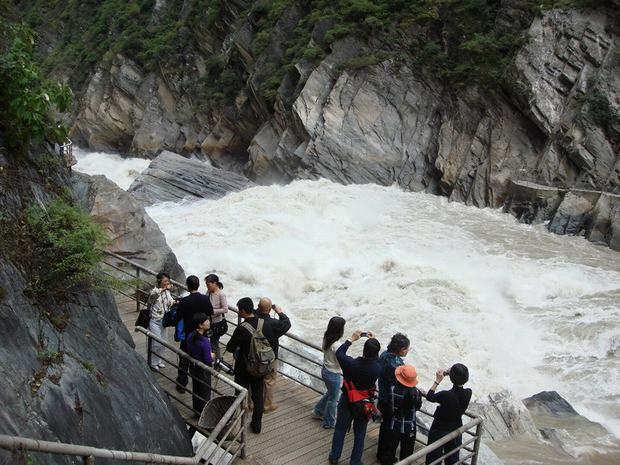 You will do two one of the best treks in China - Tiger Leaping Gorge and Yubeng Village. 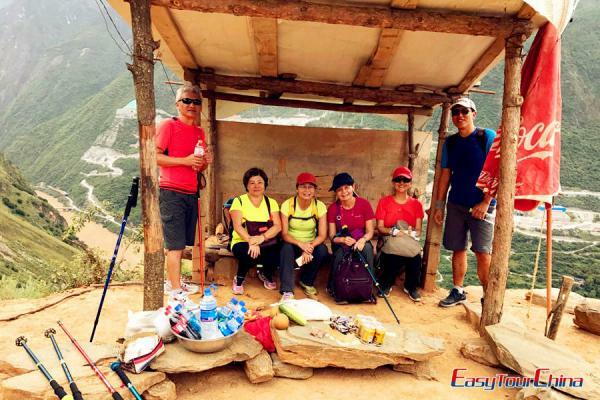 Trekking in Yubeng and Tiger Leaping Gorge is sheer joy, even for the experienced mountain trekkers. The landscape is dramatic and diverse: snow mountains, alpine forest, holy waterfalls, glacial lakes, pasture and deep valleys. Apart from the amazing Yubeng trekking experience, you will also explore the primitive Tibetan and Lisu Villages in Yunnan, and visit Yunnan snub-nosed monkey at the national park. Meet your private guide at Tiger Leaping Gorge. Start your fantastic journey along the gorge on foot. 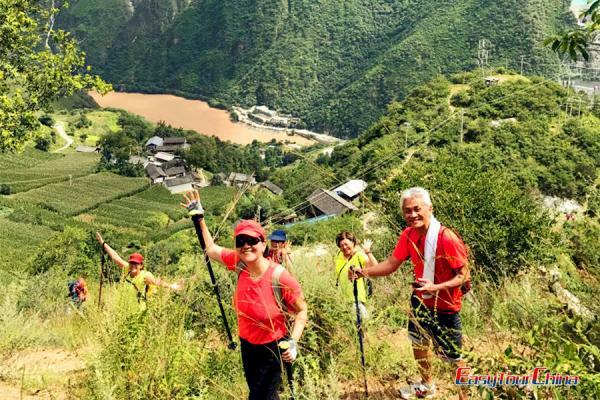 Hiking along the path, indulge yourself in the amazing landscape of snow-capped mountain, deep valley and turbulent Jinsha River (upper reach of Yangtze River). Then drive to Shangri-La and check in to your hotel at Dukezong Ancient Town. After breakfast, drive for about 50 minutes to explore Potatso National Park. Enjoy yourself by walking through the tranquil mountains, encountering with the little animals like squirrels and having a boat trip on the crystal-clear Bita Hai Lake. Then visit Ganden Sumtseling Monastery (Tibetan Songzanlin Monastery), known as the Lesser Potala Palace of Lhasa. Pay a visit to a Tibetan family, chat with the friendly hosts and taste the local specialty food. End the day with a leisure stroll of the old town of Dukezong, where the Tibetan houses are beautiful and there is the world's biggest prayer wheel located. After breakfast, drive from Shangri-La to Deqin. Have a distance view of Napa Grasslands en route. Then visit Nixi Pottery Village - locals make a living by making black potter in traditonal tecniques. Continue driving along Jinsha Grand Canyon, and stop by Benzilan, an enticing old town on ancient Tea Horse Road, and also visit century-old Dong Zhu Lin Monastery (East Forest Monastery). Go ahead and cross Yakou of the national nature preserve Baima Snow Mountain (Yakou is 4,296m/14094ft). 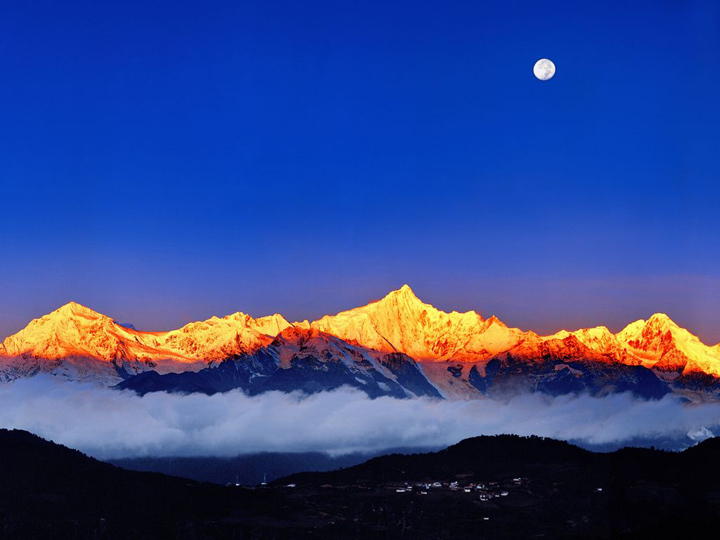 Finally arrive in Deqin and enjoy the stunning sunset of Meili Snow Mountain (if weather permits). Get up in the early morning for the sunrise of Meili Snow Mountain (if weather permits), and overlook the magnificent Mingyong Ice Glacier. 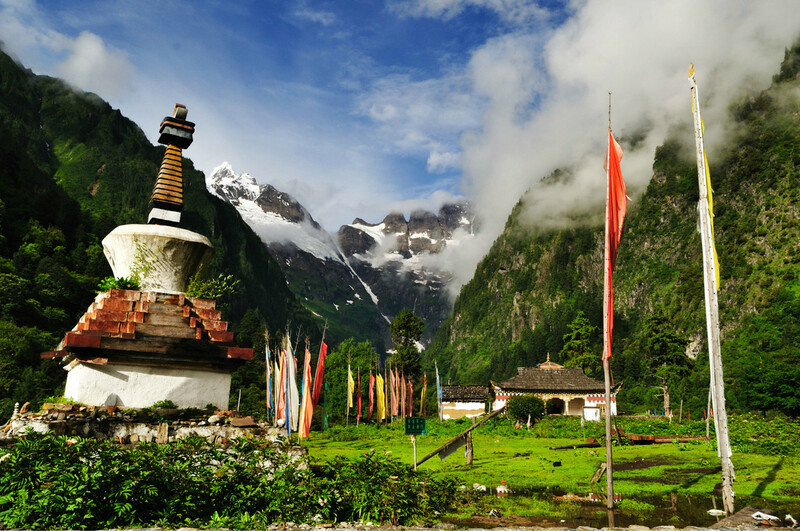 Drive to Xidang Village, then start your hiking trip to Yubeng Village. We will hike through the primeval forest, pass Zongya Pass (3,750m/12303ft) and finally reach the idyllic land of Yubeng Village at the foot of Meili Snow Mountain, which is known as the miniature version of the real Shangri-La. Note: Today, we prepare you the packed lunch. There are rest stops en route where the drinkable water is available. A full day trekking trip from Yubeng to Xiaonong Base Camp - travel through the virgin forests, alpine vegetation and wild flowers, Wuguan Peak, Mianchumu Peak, 91 Base Camp, Mt. 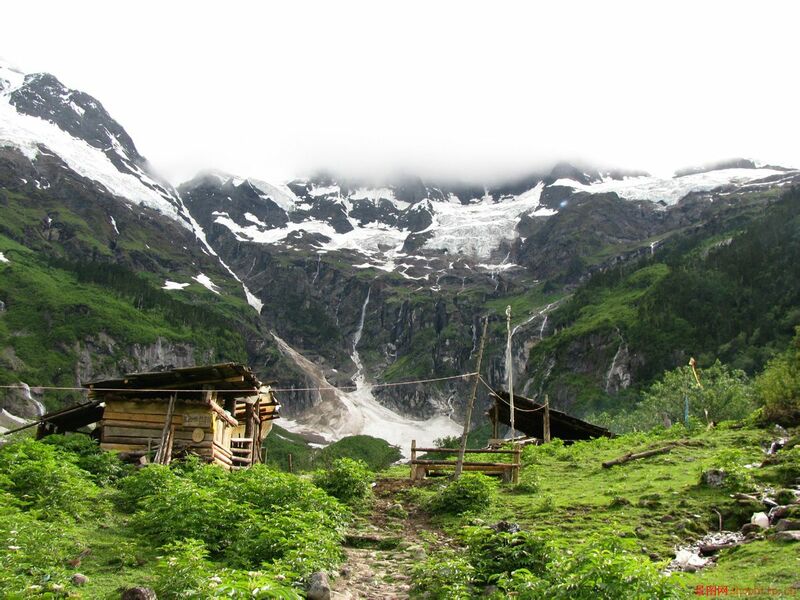 Kawagebo glaciers, ice lake, pasture… You will hike uphill for about 4 to 5 hours, which takes a lot of energy and requires much strenth. If you are stil in a great shape affer getting to Xiaonong Base camp, you may continue trekking to Glacier Lake at about 3800-3900m. Note: Today, we prepare you the packed lunch. The pasture supplies drinkable water. After breakfast, trek to Sacred Waterfall (3500m/11483ft). Local Tibetans bath in the waterfall to purify the mind. Proceed to Ninong Village, and visit Wushu Tonggen (five trees share the same root), Filial Piety Platform, Shizhuan Tianshu (sealed characters written on stones), Yubeng Lakang (Lotus Cave), the 13th karmapa's footprint stone, and also experience the local Tibetan customs, e.g. the polyandry. Note: Today, we prepare you the packed lunch. 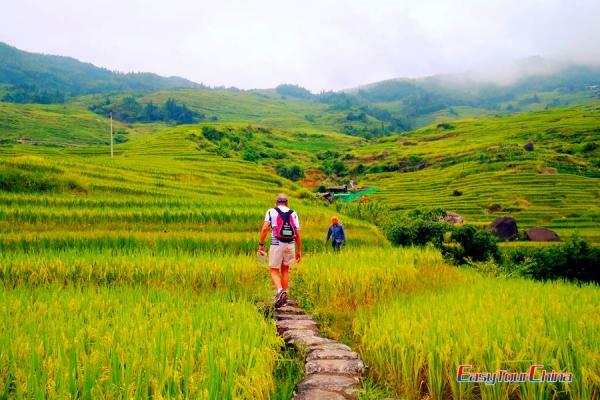 Trek along the Mekong River (named Lancang River in China) and get to Jiabi Village. Here we’ll have lunch in a local restaurant. Drive to Cizhong Village, then visit Meili Grand Canyon and Cizhong Church, one of the most beautiful cathedral churches in China. Enjoy the exotic scenery of Mekong River, and visit Lisu ethnic village at Weixi, go to the fun-filled, authentic Lisu market to witness the humble lifestyle of local people and experience local customs. Arrive at Yunnan Golden Monkey National Park. 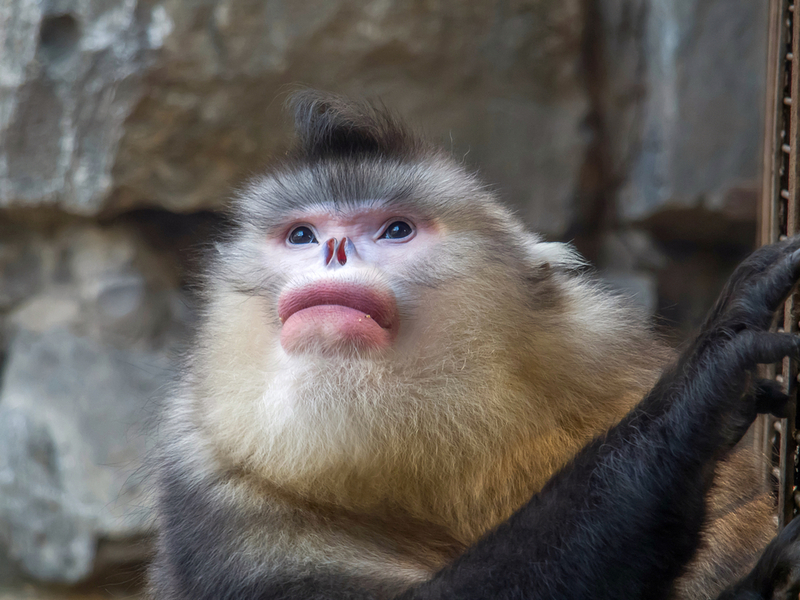 The golden monkey is endemic specie in Yunnan and regarded as elves by local Tibetan people. Note: we’ll have lunch in Weixi Town center and have dinner in Yunnan Golden Monkey National Park. Pay a visit of the Golden Monkey National Park in the morning and watch the lovely monkeys enjoying their breakfast and playing the wild happily. Drive back to Lijiang. 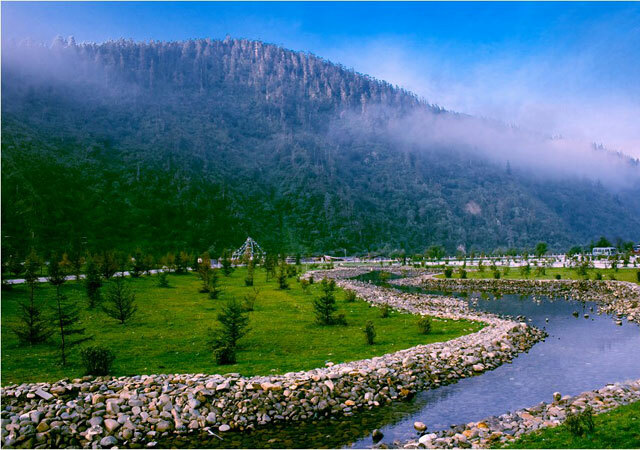 Enjoy the beautiful landscape along the Jinsha River, and visit Shigu Town and Lijiang Old Town.